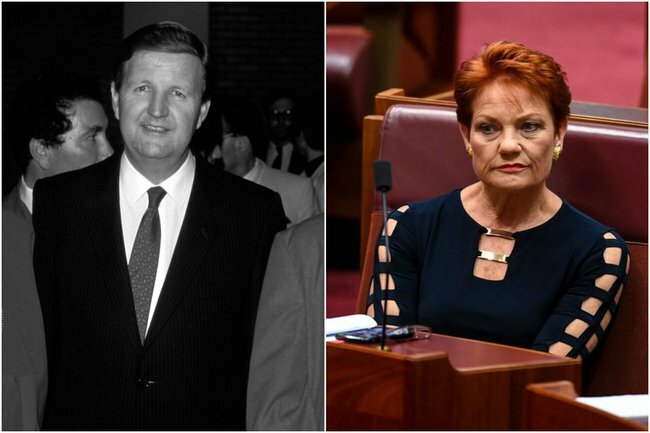 The story behind Pauline Hanson's Port Arthur 'conspiracy'. Pauline Hanson suggested Port Arthur was a conspiracy. Here's where she got the idea from. One Nation leader Pauline Hanson is in hot water after footage has surfaced of her seeming to suggest the 1996 Port Arthur massacre, which killed 35 people, was a government conspiracy. The footage is part of a three-year undercover investigation by Al Jazeera, which also found that One Nation’s Queensland party leader Steve Dickson and Senator Hanson’s chief of staff James Ashby made the case for funding in meetings with pro-gun groups in the US. Yesterday Hanson fronted the media, claiming she and her colleagues are the victims of ‘selective editing’ and entrapment, slamming Al Jazeera’s documentary as a “political attack”. Here’s Hanson’s press conference damning the report. Post continues after video. The ‘comments’ she is referring to are those made by former NSW Premier Barry Unsworth in 1987, just under nine years before the massacre that changed gun laws in Australia. Mr Unsworth was in his final months as Premier, when a gun summit was called in Canberra by then Prime Minister Bob Hawke. It was called in reaction to four mass shootings in Sydney, Melbourne and the Northern Territory that had all occurred in less than a year. During that time, 31 years ago, you could walk into a gun shop in Australia and buy a powerful semi-automatic for $300. Angered by the massacres in their states, Mr Unsworth and Victoria’s Premier John Cain pushed for gun laws banning self-loading rifles. But Queensland and Tasmania were against the proposals, and the talks for and against were at loggerheads for hours. Eight years and five months later, Martin Bryant murdered 35 people and wounded 23 at Port Arthur in Tasmania, at a former penal colony turned tourist attraction. It was the deadliest mass shooting in Australian history. The youngest victim was three. As a result of the carnage, then Prime Minister John Howard, who had only been in power two months at the time of the shooting, changed gun laws in Australia with the National Firearms Agreement of 1996. With Port Arthur making headlines this week, Mr Unsworth, who is now 84, told The Daily Mail in a rare interview he regretted saying those words all those years ago. “I said that. I regret having said it and certainly some years later, of course, we had Port Arthur. You could see that Bryant would have had some psychiatric problem to go around and kill all those people,” he said. “I just regret that I said that but you’ve got to understand the history of the movement against the proliferation of guns,” he added, referencing his frustration at not being able to get gun laws over the line, and in particular Tasmania’s resistance to do so. When he made those rash comments, he had just walked out of a heated hours long debate, to which Tasmania was the main objector. 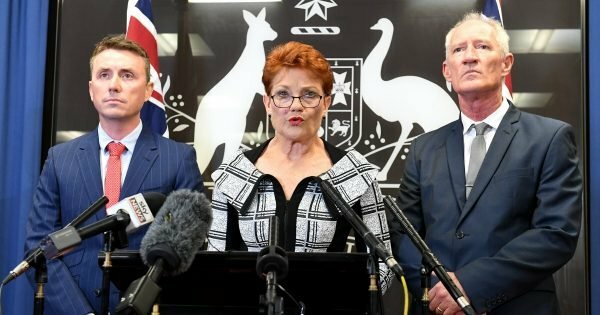 Pauline did a press conference yesterday, damning the Al Jazeera and ABC report into her. Claiming the footage had been &apos;edited.&apos; Image: Getty. In the video secretly filmed by Al Jazeera, Hanson says; "An MP said it would actually take a massacre in Tasmania to change the gun laws in Australia. Haven’t you heard that? Have a look at it. It was said on the floor of parliament," she says. Hanson can be seen discussing other conspiracy theories with her chief of staff James Ashby who adds; "That whole September 11 thing, too," immediately after comments are made about Port Arthur and Mr Unsworth&apos;s comments all those years before. "Those shots. They were precision shots," Senator Hanson responds, again referencing Port Arthur. On her comments, Mr Unsworth told The Daily Mail, "nobody seems to be able to research it, particularly Pauline Hanson. "What was said was not said in Parliament. There&apos;s other people who have misquoted the situation." He is particularly angry at the American National Rifle Association for using his prophetic 1987 quotes in propaganda material to suggest the Port Arthur massacre was a conspiracy. "If you look at the National Rifle Association&apos;s website, they quote me, they name me, and it&apos;s the NRA that said it was a conspiracy, Port Arthur, you&apos;ve only got to look at what was said in 1987," he said. It&apos;s actually not the first time Pauline Hanson&apos;s One Nation party has been embroiled in controversy over claims Port Arthur was a conspiracy. In January 2017, the party dumped one of its Queensland candidates Peter Rogers, over a controversial blog post he wrote claiming the massacre was a hoax. Mr Rogers posted on Facebook when he saw this week&apos;s allegations come to light stating; "Is this a joke? Isn’t this the reason why you asked me to resign Pauline?"